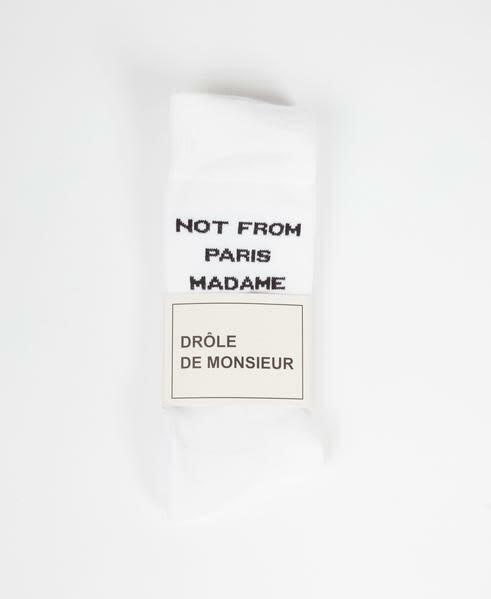 White 'Not From Paris Madame' knit Socks from Drole De Monsieur. These socks are ribbed, and mid calf length so ideally for under trousers or with shorts in Summer. Constructed from 80%cotton, 18% polyamide & 2 % elastane for comfort and durability.